Cut out pattern pieces. 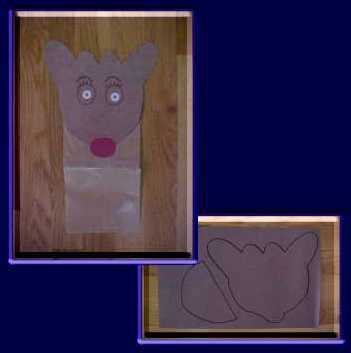 Glue head and inside of mouth to paper bag. Add gum rings for eye balls. Use a marker to outline eye balls, add lashes and eye brows. Cut out red oval for nose and glue to head.